This modern 3 bedroom townhouse offers low maintenance living in an ideal location close to all amenities. 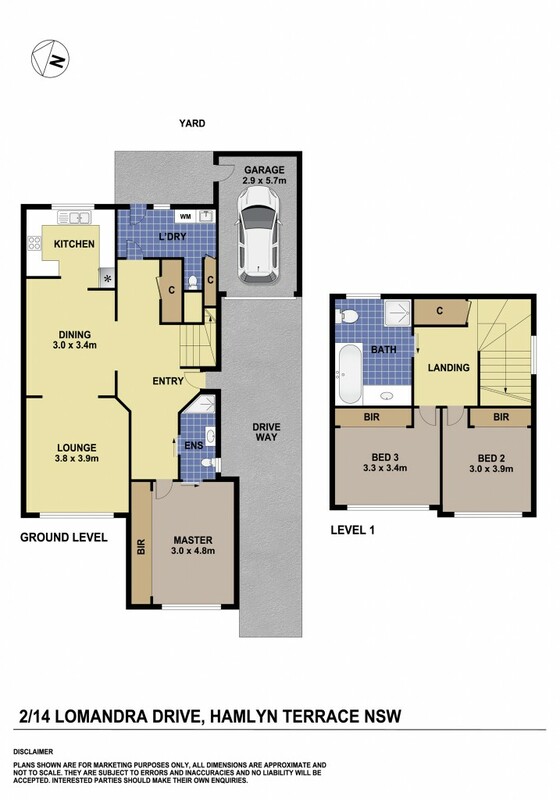 All 3 bedrooms offer built-in wardrobes with the master also boasting an ensuite making this a perfect family home. Spacious open plan living and large kitchen with stainless steel appliances, dishwasher and ample amounts of bench and cupboard space will make cooking time a breeze. There is also a large main bathroom with a large vanity plus separate shower and bath. Don't forget there is also an extra toilet in the laundry! This well maintained complex is centrally located located within minutes drive to Kanwal Medical Centre, Kanwal Local Shops, Wyong Rugby League Club, Warnervale Primary School, Woongarrah Public School, Mackillop Catholic College, Wyong Hospital, Warnervale Train Station & Lake Haven Shopping Centre!